Pilates classes are led by Saskia West each Tuesday 8.45-9.45am, Thursday 8.45-9.45am and 10-11am and Friday 10.45am during term time. Saskia is a trained Stott Pilates® Instructor. Stott Pilates® is an internationally recognised instructor training programme which will ensure you’ll get the highest level of instruction. Pilates is a complete exercise system of stretching and strengthening. Joseph Pilates stated that his method ‘develops the body uniformly, corrects wrong postures, restores physical vitality, invigorates the mind, and elevates the spirit’. 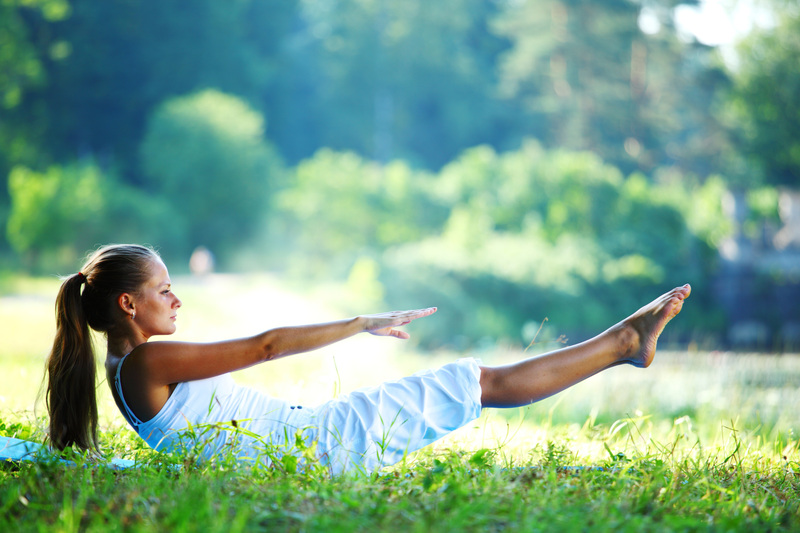 Pilates also increases strength, flexibility, balance, coordination and body awareness. This amazing system tones your muscles without creating bulk. The classes cost £8 each for a drop-in, a card of 5 classes costs £35 (or £32 for Friends/Members of the centre) and a card of 10 classes costs £70. Please contact saskia@saskiawest.co.uk or telephone 07739 066491. Visit www.saskiawest.co.uk. Saskia has over 15 years of experience in the health industry with an individual and calm teaching style. She has a specialty in ‘Injuries and Special Population’ which will insure you are in safe hands. Saskia will use props like Foam Rollers, Mini Stability Balls™, Fitness Circles® and Flex-Bands® to make her classes more effective and fun. To find out more about Stott Pilates® you can visit: www.merrithew.com/stott-pilates/about.